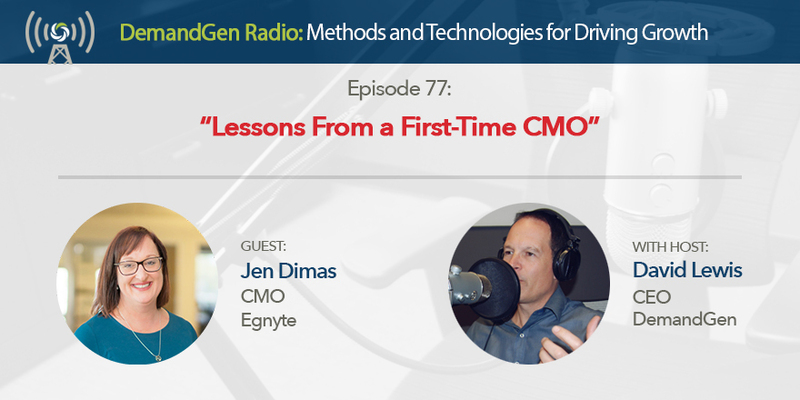 Jen Dimas, CMO of Egnyte, is a first-time chief marketing officer and has some valuable lessons and experiences to share with anyone considering a leadership role in marketing. In this episode, Jen and I talk about building the right marketing team, share some advice around choosing the right technologies for your tech stack, and help you decide if the CMO role is right for you. Jen also provides some pointers for being successful as a new CMO and highlights some of the new processes and practices she’s implementing at Egnyte. Tune in now!